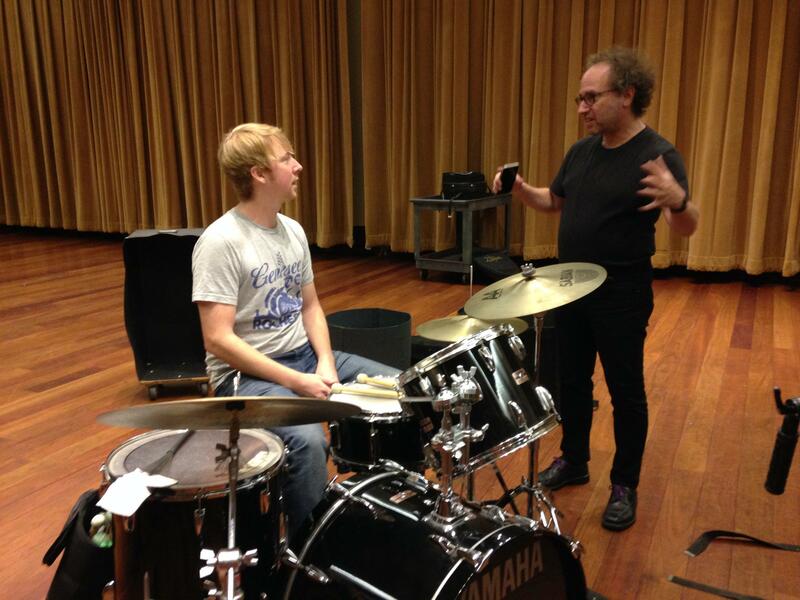 Composer Tod Machover works with a Detroit Symphony Orchestra percussionist on what the beat of Detroit sounds like. Michigan Radio’s Emily Fox chats with Tod Machover about the “Symphony in D” project. You can listen here to How to create a symphony of Detroit. Machover says another part of this project is to send the message that classical music isn’t just something that only a few special people can make. “I think classical music is one of the domains where we’re most scared or intimidated about participating because the level of expertise is so high and of course there are certain things you can do in classical music that you can only do if you devote yourself to it for 20 years, but it would be such a more vital field if everybody was touching it somehow,” he says. That point is getting across to the students. 13-year-old Emiilah Shuler and 11-year-old Samuel Pickens felt inspired after composing their mini Symphony in D.
“I think it gives us a chance to believe that we can do that one day, when we are all grown up, anything is possible,” says Shuler.